Common problem with VPN providers in 2019; the IP & hostname that is used to identify the VPN connection is easily identified as unnatural and faked. With a hostname that is from a real home ISP connection — are residential IPs the solution? And what is the real cost? Answered in this review and guide! It’s easy for IPs offered by VPNs to be identified as a so called, “network sharing device” or a “proxy server” which tells sites and online services that you are likely hiding your real IP address, hostname, as well as your location. Depending on your needs, this could have undesired effects. Such as websites and streaming services with geographical restrictions blocking access. Residential IPs are not a bullet proof solution, but it can help a lot. Looking at VPNs that provide residential IPs, most of them have problems. They are often very pricy, slow or both. Some are complicated to use and register, and most use questionable, unstable methods to provide the IPs to their users. However, you are in luck if you are looking for a cheap & fast residential IP VPN in the United States — you should check out TorGuard. Despite the name, it’s not just for torrent users, but a popular & viable VPN service. The regular price is $4.99/month for the IP and $7.99/month for a whopping 10GB residential IP for super fast streaming and downloading..! And while $12.98/month is cheap for a residential IP VPN, you can use the coupon code, “50RESIDENTIAL” to get 50% off for life — that’s $6.49/month. Services like Tuxler, ProxyRack, USrdp, EXA VPN, ResVPN, etc. are usually more like proxies for those who don’t mind instability, and slowness. There are other options too, if your main motive for a residential IP is to circumvent country location restrictions of TV, movie and other streaming services. So called, SmartDNS services provide reliable streaming without VPN. It does so by answering to DNS queries that falsify your location without slowing you don’t by connecting to a third-party server like VPN does. This service is the cheapest with the most extensive coverage of supported video streaming websites amongst competition. The downside is that it’s not as easy to configure. Requiring you to manually set DNS settings from your browser settings. So you can’t just turn it ON/OFF like VPN. This is the most modern and easy to use Smart DNS service and works much like a VPN, where you get a connection client with an ON/OFF button. Also with both services, it also includes limited VPN service as extra. For those who simply need an IP for short-term use, and don’t mind that it’s difficult to connect and the connection is slow or unstable with disconnections…. check out the completely free services of VPN Gate, which is a collective effort. Meaning, that anyone can volunteer in sharing their own residential, home ISP IP connection to others in the network, or use them without guarantees. I know a lot of people are looking for a stable residential IP VPN connection in other countries besides the US. But unfortunately I don’t have anything that I can really recommend, as all other services I know of are based on adware, malware capturing traffic from other people unknowingly. I will definitely add to this post, when and if I have news on getting authentic home ISP IPs from countries like Brazil, Chile, Canada, Mexico, USA, Austria, Belgium, Bulgaria, Cyprus, Czech Republic, Denmark, Finland, France, Germany, Greece, Hungary, Iceland, Ireland, Isle of Man, Italy, Latvia, Luxembourg, Netherlands, Norway, Poland, Portugal, Romania, Russia, Slovakia, Spain, Sweden, Switzerland, Turkey, Ukraine, United Kingdom (UK), Australia, Hong Kong, Japan, South Korea, Malaysia, New Zealand, Singapore, Taiwan, Thailand, Vietnam, Egypt, India, Israel, South Africa, Saudi Arabia, Tunisia as well as the UAE amongst other countries. Click here to read on how TorGuard residential IPs work. 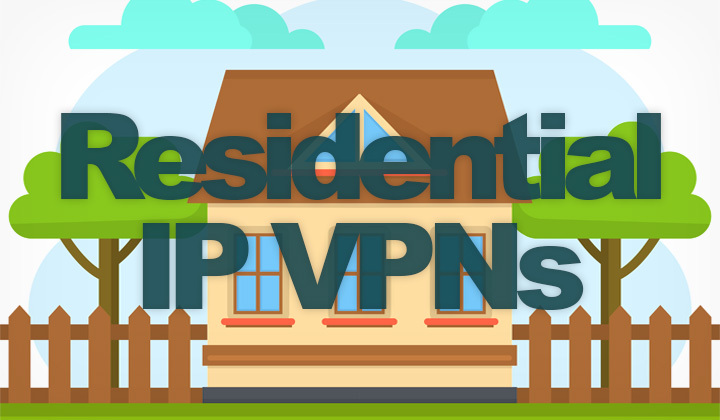 Any questions or comments on VPNs and residential IPs? Your input is most welcome of course. And please be notified, that while not all of the links but some are affiliated with the services they are linking to this won’t cost you any extra. They are aimed at creating useful content and a mutual benefit for those who accept voluntary support.